It seems that our Technology challenge last week caused as many problems as technology itself can from time to time, but there were some really clever and ingenious cards, so thank you everyone who entered! with lots of white space and minimal layers. Here are our examples to give you a few ideas. 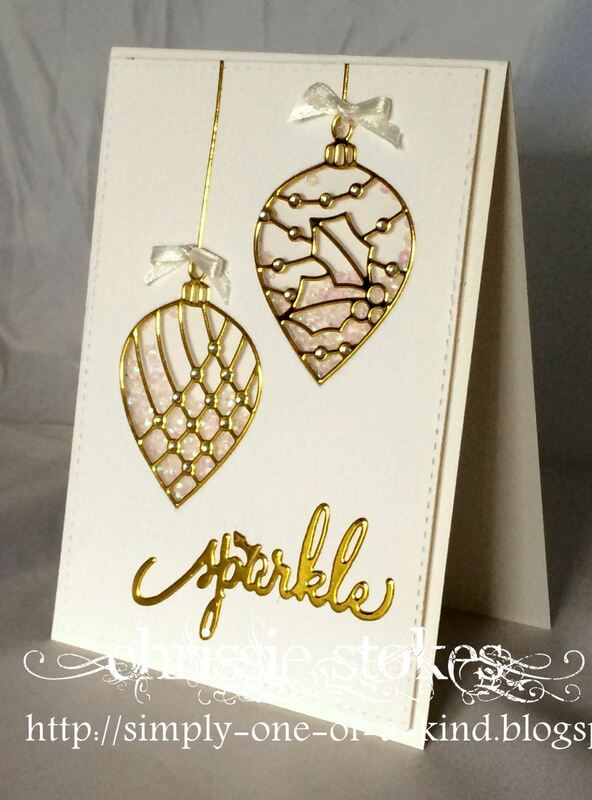 the shaker element of this card and the little gems attached to the baubles... even the ribbon is shiny! 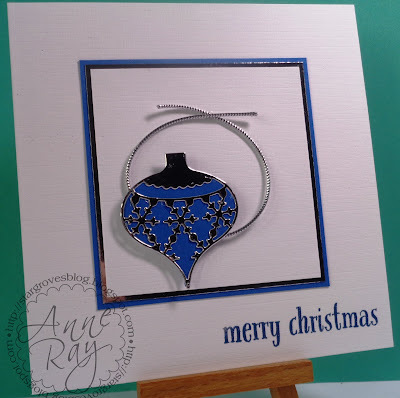 The bauble dies are from Elizabeth Craft and the sentiment from Wplus9. I've added some Doodlebug sequins which luckily matched the foil papers perfectly. I started by applying translucent embossing paste through a stencil, MFT Spring Flowers, onto some textured pink cardstock. It goes on white but dries to a clear shine. I cut a white cardstock panel slightly smaller than the card base and used a curved Dotted Border die by Avery Elle to create the split. 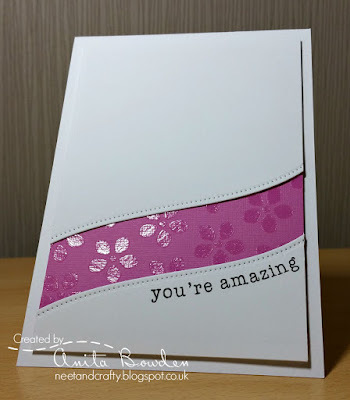 I stamped the sentiment from Clearly Besotted's Sugar & Spice set and then cut the embossed pink panel to the same width as the panel and adhered it behind, and then cut the entire panel to size before adhering with 3D foam strips. There is a close up photo of the shine over on my blog. The Memory Box bauble is an old favourite that has been well used. glue and a bit of shiny silver cord added behind it. The Winnie & Walter sentiment is heat embossed with WOW Blueberry. pop around some of your fellow Limettes to leave some friendly feedback! FAB MAKES from the DT today .... couldn't wait till my Plaid version of Glossy Accents dried to post my make!!! Wow. These cards are amazing. That first one is just gorgeous! Brilliant (literally) cards ladies - and a fun challenge theme!